Websites build on ad display models will overwhelm visitors unless your sole motive is to display ads and nothing else. Visitors get easily frustrated with too much ads and everybody knows this. What happens with too much ads? It is advisable to restrict ads at certain limit. Study other successful websites & gain some idea how they have managed the ads section. You can also take professional bigcommerce website designer advice on ads section while designing new site or refurbishing old website. Auto playing audios and videos are same as the ads that tend visitors to go away. You want believe a visitor will click the back button of your website faster than your auto play video/audio. Hence, let your visitor choose what to play and what not to? Let them consume their online data in their own way. Those having unlimited speed and data will not get affected, but tech savvy buyers will blast at you if their data is consumed without any reason. Everyone has experienced this problem once or more in their lifetime. To understand the problem we need to get clear idea about the mechanism of navigation on your website. Why navigation is so important? A proper navigation structure helps to find exact information in an organized manner to find required information. Think you are blindfolded and left in a maze. The same situation is with the buyer. You leave him/her in a never ending poorly designed navigation options. Think as a buyer for an instance, research your own site and sort out the loop holes you face while you are using your website. This way you will stop losing your visitors. 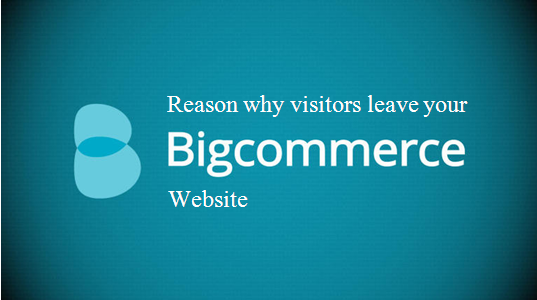 If you are not confident enough to restructure your navigation links and contents then take help of expert bigcommerce website designer. They will spot the trouble spots for you. Asking for an expert’s help is less expensive than trailing potential purchasers.